home Home arrow_right Forums arrow_right Discussions arrow_right Gaming arrow_right Anything the Sims thread! You can share your stories, gameplay, screenshots, favorite custom content, ask questions... Anything relating to the Sims. (Any version of the game!) 😃 Please share! Extra: Poll! Which version of Sims did you play most recently? Another screenshot then 😊 my played sim to the right. With her sister-in-law and her good friend at a bar. No need to apologize! :o Sims isn't everyone's kind of game. 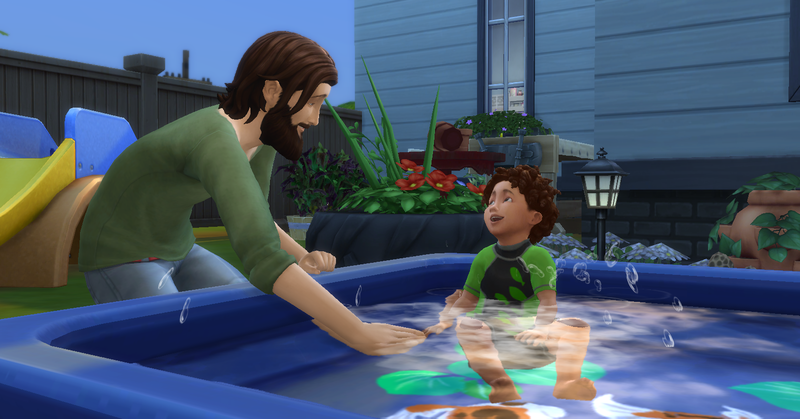 "Anyone who wonders how god can allow evil has clearly never drowned their sims in a pool"
Fair enough! :D Sims 1 and 2 were fun too! Hey! Just found this, it's super cool. I've been playing the sims for a few years now, personally, Sims 3 is my favourite. Sims 4 was originally planned to be multiplayer, and that's why the lots are all split up. Kinda takes away from the immersion IMO. I'm the owner / lead developer for the Sims 4 Multiplayer project (now named SimSync). We have 10,000+ people in a discord and we're super super excited for people to be able to play together. Ah that's very interesting! 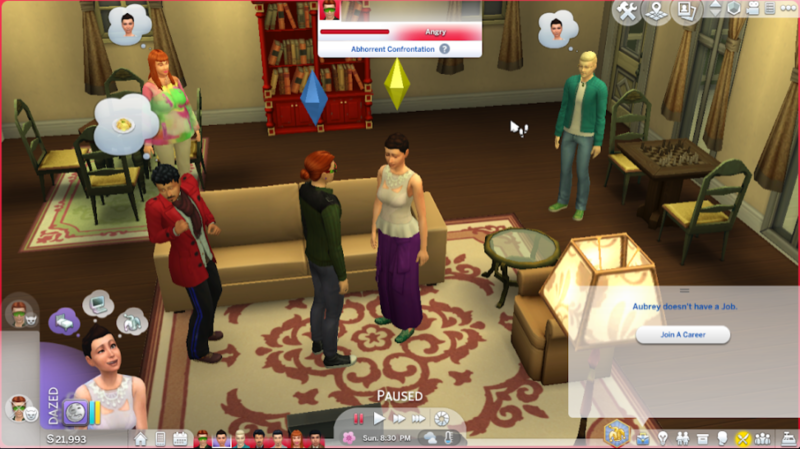 I've seen a mod on the Sims forums before which would allow two friends to play the Sims together. Haven't looked into it much personally because my internet connection is so bad that I have no hopes for it working reasonably well for me. In any case it's a great project to try and make the game have a multiplayer aspect to it. :) Personally I love it as a singleplayer game which I can pour all of my imagination into but I surely see the appeal of making it a multiplayer universe. I wish you all the best of luck with your project. 😊 How cool to run into you here on Planet Minecraft! That 2 player system was our team a few months ago :). We're now expanding to try to allow 100+ players on one huge server, and then coding private servers for people to play with their friends. Hehe I wonder why they're all angry except one who is dazed 😅 looks like quite an awkward situation! Otherwise very cool to learn that you were behind that mod too :D I was quite impressed with that already. Will look forward seeing this project take shape in the future! I would like to play, But I’m not sure what I can get it on, Is there an app for free just like the consoles? Hmm, Seems I might wait for a Nintendo Switch port? Unless, there already is? i believe the app is free !! I don't know if there's a Sims version for the Switch. Haven't heard of it at least. 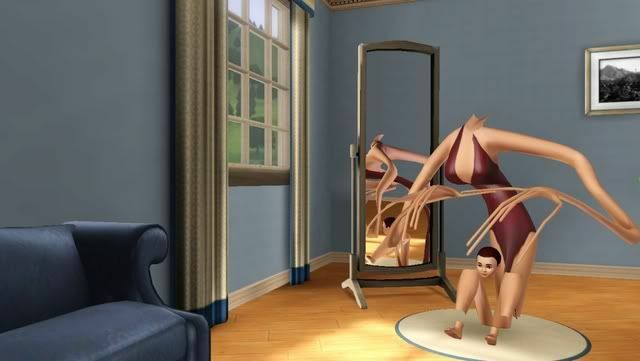 Now that I play the Sims 4 I have a similar glitch but the other way around. I think I told you (someone on here at least) before, with one of my adult Sims suddenly glitching into toddler movements. Freaky! 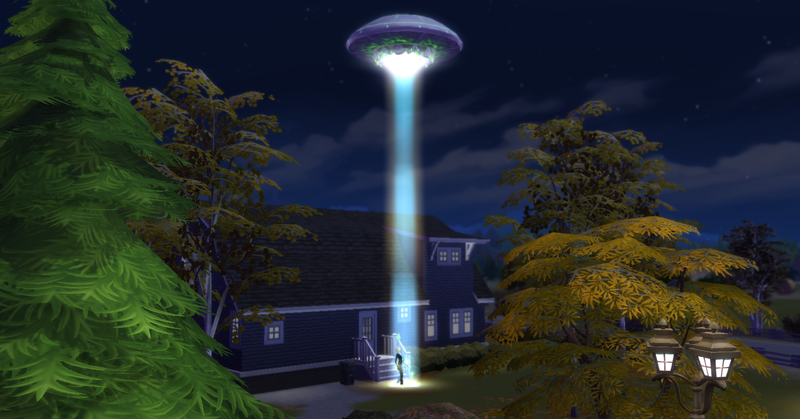 Oop ;-; my sim (Thalia Landgraab) just got abducted by aliens!